SFMOMA is said to be the largest museum in America devoted to modern and contemporary art having over 12,000 pieces on exhibit. 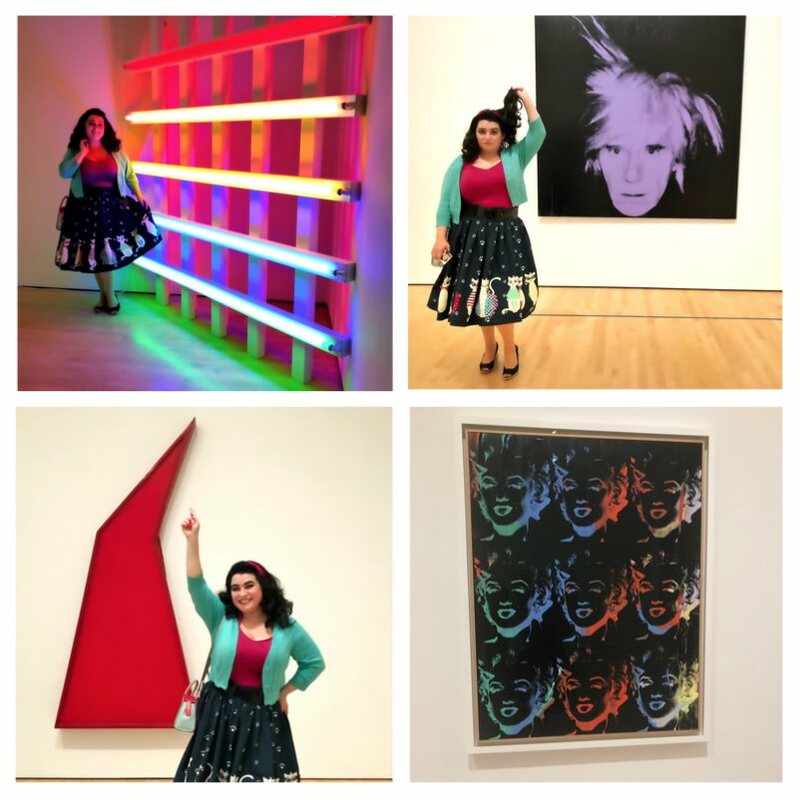 We had been planning a trip to SFMOMA for a while and when the opportunity to go came we headed into the city. 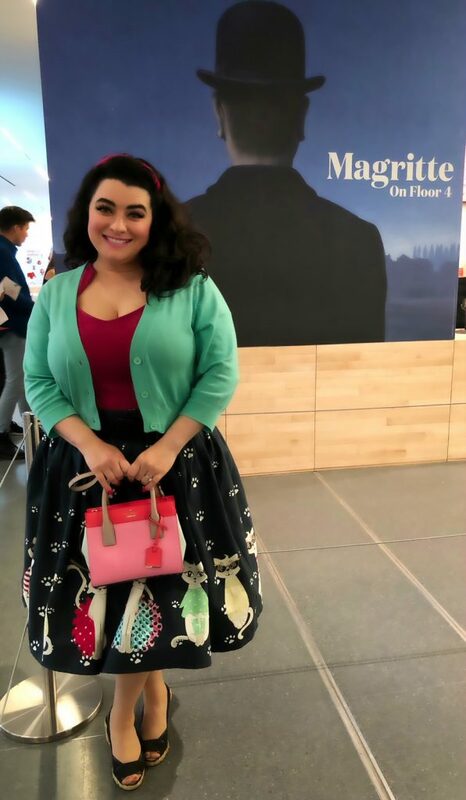 I am an amateur when it comes to art but I know what speaks to me (Vermeer, Fragonard, Watteau, Rembrandt, Goya, Delacroix, the old masters, to name a few) I knew SFMOMA would have awe-inspiring works!! 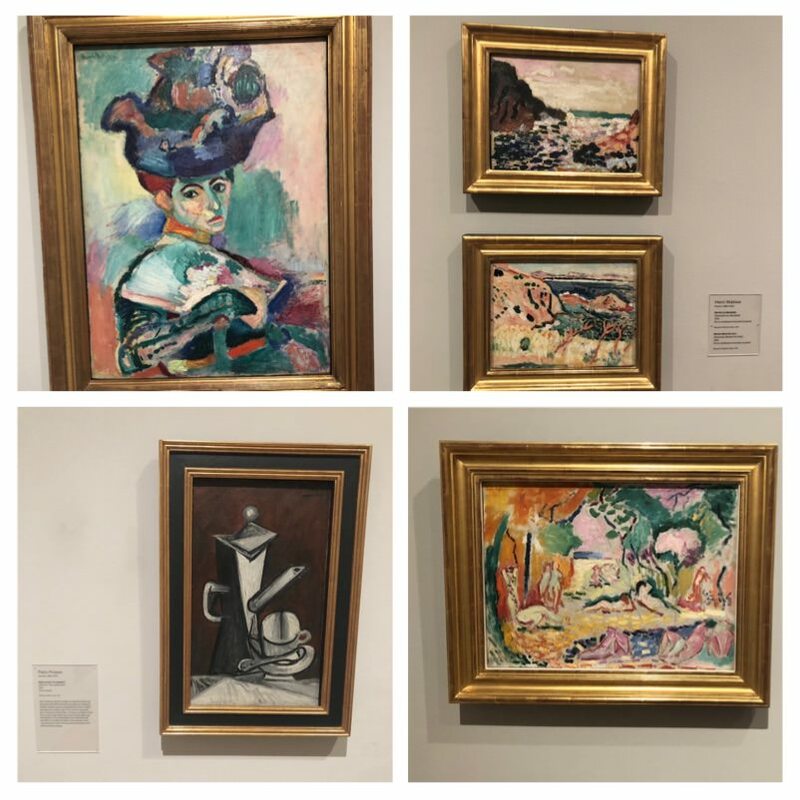 The paintings at SFMOMA are famous enough that you’d recognize them from books and prints but getting the chance to be up close was an incredible experience. Hubby and I had a magnificent time and here is a little of what we saw. The René Magritte Exhibit: The Fifth Season at the San Francisco Museum of Modern Art. It contains some of the Belgian Surrealist’s most famous works. Most of us I think will recognize a Magritte painting as it has a mix of fantasy, whimsy, and dark philosophies. Think his bowler hat series that has been in movies like the Thomas Crown Affair and his paintings of clouds, birds, nudes, apples and rocks. I was excited to see the bowler hat series and it truly was amazing. 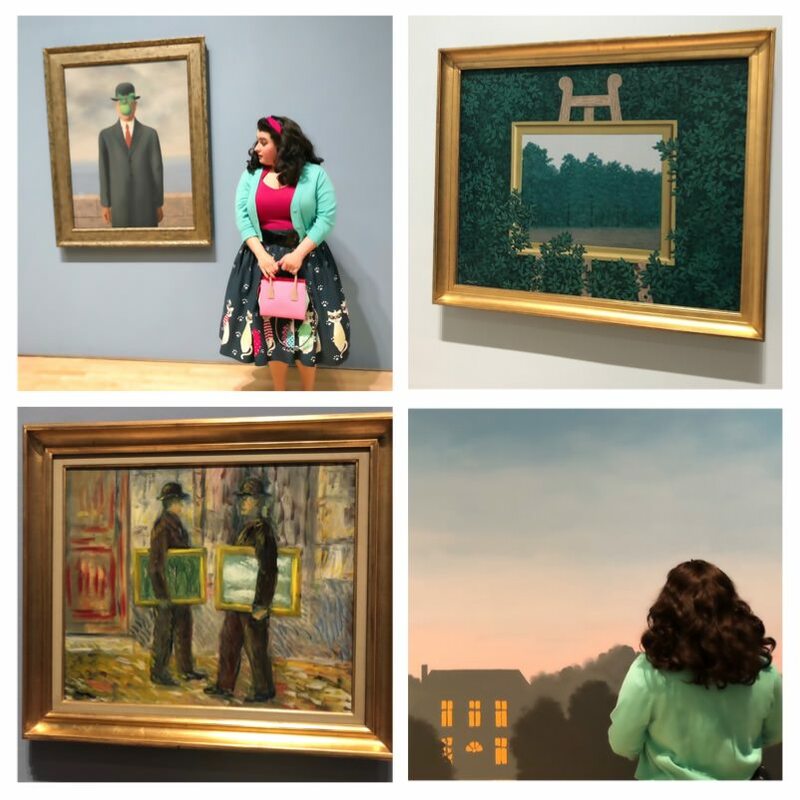 Aside from the subject matter Magritte paints, his style is so clean, smooth and clear and his artworks does make an impression on the admirer. 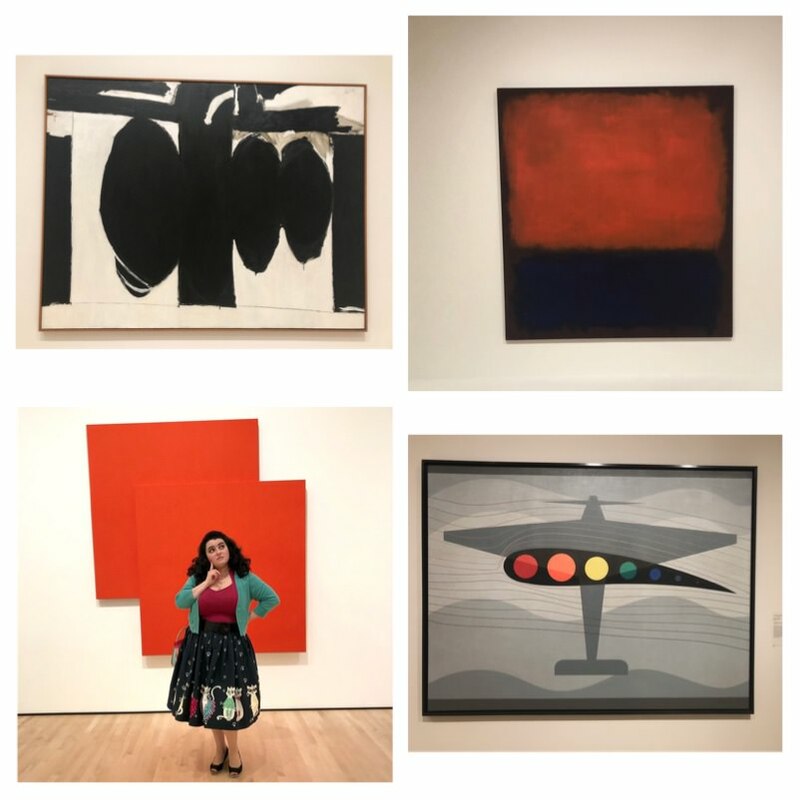 The Pop, Minimal, and Figurative Art is an ongoing exhibition at SFMOMA and it did not disappoint. This exhibit includes works from the 1960s and beyond and features Pop and Minimal artists. Works by Richard Artschwager, Philip Guston, Donald Judd, Sol LeWitt, Roy Lichtenstein, and Andy Warhol, among others. 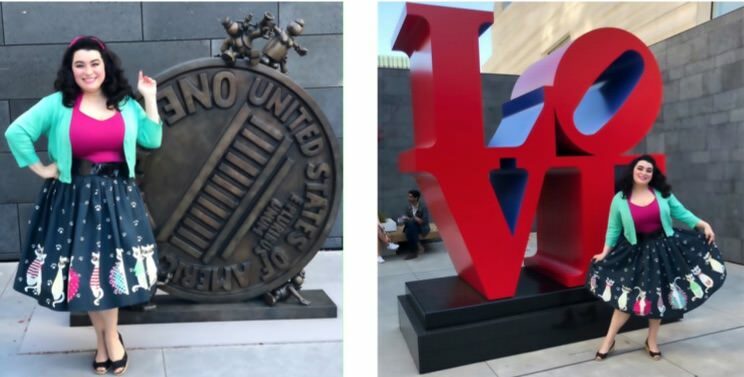 SFMOMA is a huge location and we were in need of coffee and found the fabulous rooftop coffee shop that serves the most delicious espressos, art-inspired deserts, and has a sculpture garden. 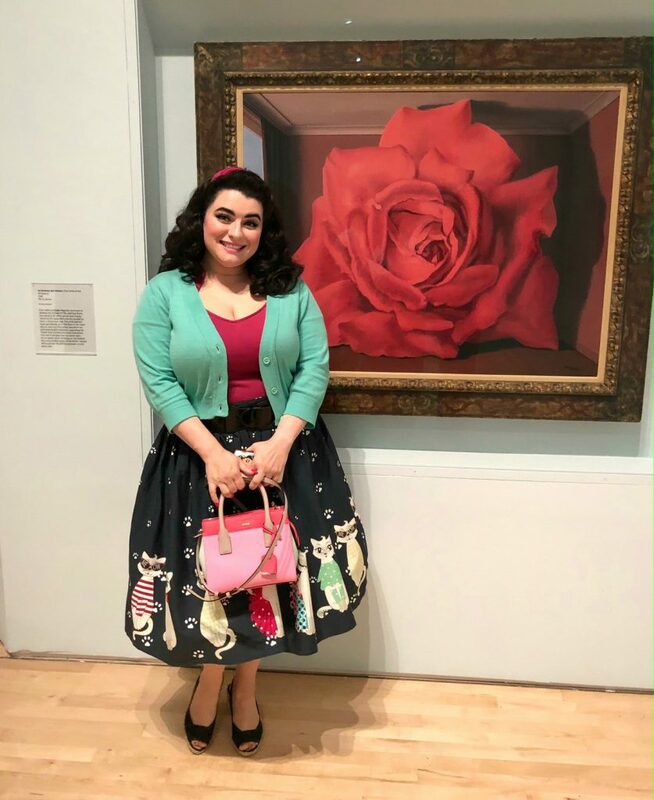 I wanted to wear something comfortable yet fun that had the 50s Pinup vibe and ended up with my kitty cat boarder print skirt, top and cropped cardigan. I received so many compliments. The day was fabulous and so inspiring. We explored only a few floors of the museum with many more to go and we are looking forward to returning. All pics of me by my sweet hubby Gary .